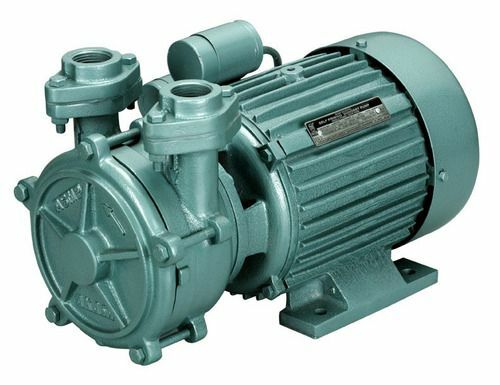 The centrifugal pump is not self-priming. The pump needs to be primed before it can function. Priming involves filling the pump casing with water and removing the air inside. When the centrifugal pump is started for the first time, the casing should be filled with water until it is filled completely, the delivery valve should be closed and the pump should be started. When sufficient pressure is built, the delivery valve can be gradually opened. Priming can be done manually for the first time by means of special openings provided in the pump to fill water. For subsequent start ups, special arrangements can be made such as having a footer valve in the suction pipe. This ensures that the pump remains flooded even when it is not running. Another method is to have a separate smaller pump to remove the air in the main pump. In some installations, the pump is placed at lower level than the sump so that the pump is always flooded.